The good news is that civilian jobs for ex-military as well as for new grads are present in a variety of sectors that are seeking the very skills that you have acquired during your time in the armed forces. Some of the skills that logistics companies like ours is looking for are aptitude in computerized inventory systems, properly managing the processes of shipping and scheduling, tracking shipments, experience with safety, security and hazard reduction procedures. Both labor and management professions are needed. Labor positions are considered to be those that involve warehouse activities, or moving product efficiently from one place to another. A wide variety of skills on the floor of the warehouse are required. A list of potential positions might include mechanics, health and safety inspectors, sales positions, transport – both as a drivers and dispatchers. potentially as well as positions more in line with those who have a logistics background, such as route development and systems management/planning and finally, there are positions within the warehouse concerning distribution. Management positions also include a need for a broad spectrum of skills, those who are experienced or possibly have an educational background can find management positions in purchasing, outreach, inventory, and supply-chain managerial positions. There are logistics jobs all over the country, anywhere you can imagine. Demand for logistics services is booming, There are new jobs in logistics Savannah GA being created all around the transportation hubs in Georgia and in nearby Ft. Stewart GA. 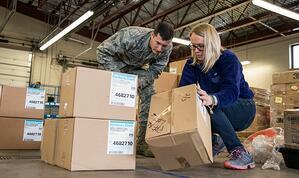 Civilian jobs for recent military members are becoming more available as the labor supply lags behind demand. Because logistics is such an experience-driven industry, employers are intensively scouting to have people who know the processes involved in moving material from one place to another on time and on budget. 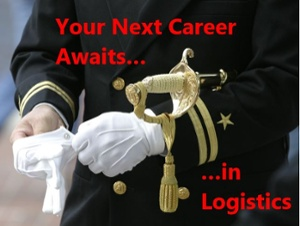 Think a job in logistics is a fit for your military experience? We’d love to talk with you further! Contact us through our Port City Logistics website careers page.